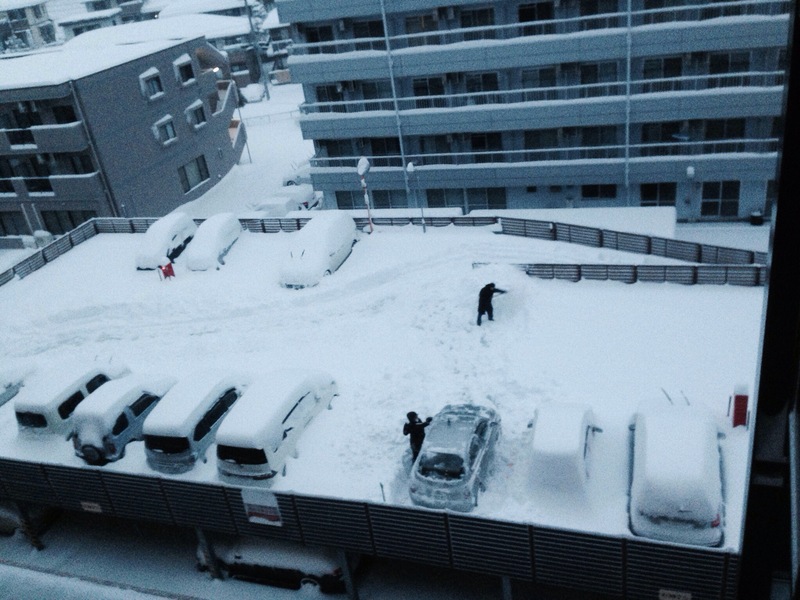 Sendai – biggest snowstorm in 78 years. Our first winter as a team in Sendai and we thought to ourselves winter really quite mild here , we can handle it. Just wear proper winter clothes , have winter tyres for the car , heaters and electric blankets at home. Not so bad after all. Then suddenly , on Feb 8 and 9 , Japan was hit with a snow storm. In Tokyo alone it was 27 cm of snow ( highest snowfall in 45 years ) and Sendai , 35 cm , the highest snowfall in 78 years. Hundreds of flights were cancelled , thousands stuck at Narita airport , rail services suspended , thousands of people stranded , thousands of home lost electric power , highways closed , hundreds of people injured and sadly a few deaths. We woke up on Sun morning prepared to drive 140 km to kesennuma for the church service ( we were supposed to share 2 songs ) and conduct our first kids’ English Circle in a THU cluster. But due to snowstorm and highway closure we had to abort the trip. We decided to do acts of Kindness to our neighbours instead. We fried beehoon and gave some to a few neighbours . We saw some of them desperately shovelling snow at the carpark to get their cars out so we went out to help them. 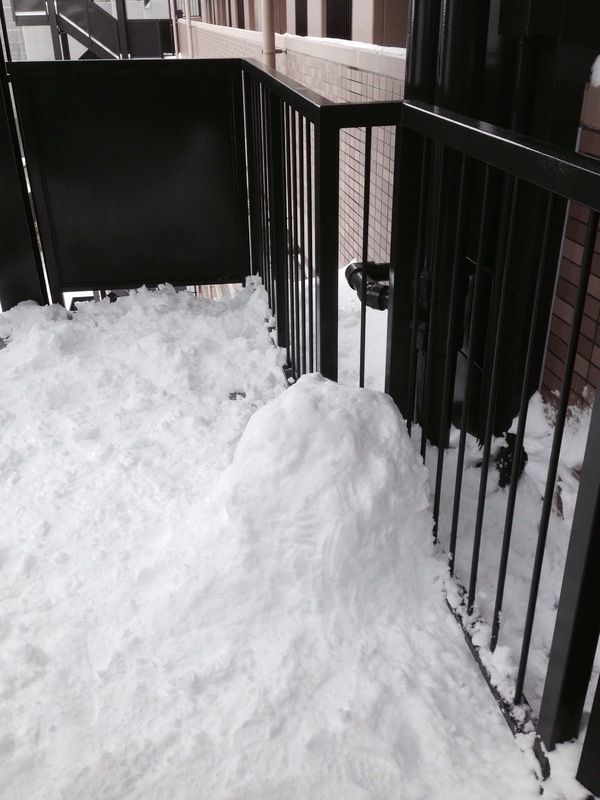 We also went to clear up a pile of snow that was blocking the entrance to one of our neighbour’s apartment. Of course we did not skip church service , we had our own Service at home , time of singing and watching Ps Roland’s inspiring sermon on http://www.fcbc.org.sg . Well , this is our introduction to winter in Japan. Not sure what will happen in the next few days. But we know the storm will come and go. The snowstorm has passed us by ( i think ) and people are getting ready for tomorrow , another ordinary day.